It is both the privilege and responsibility of photography to be a part of history, to document it and show it to the world. Since the beginning of the twentieth century, evolution has been happening at a faster pace than ever. 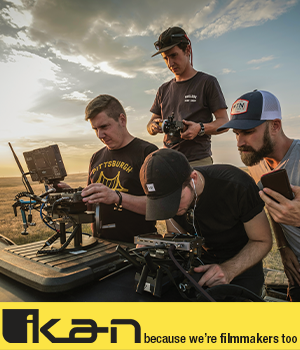 We are lucky to be living in an age when technology keeps us from missing anything that happens around us, and also enables us to broadcast our own content to the entire planet. This is a short selection of some of the images that have shaken the world throughout the years. Some of them have become symbols in the fights of nations, others were elaborate attempts of manipulation, but they are all meaningful in the history of photography and the world. You can find this fabulous photo in the most bizzare places, from art galleries to luxury restaurants, pubs, Italian cafes, etc. 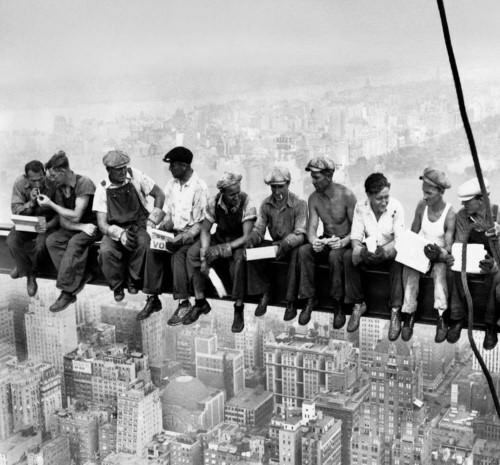 These eleven, some might say incredibly brave men, were casually having lunch on a girder, hundreds of feet high, on the construction site of the GE Building. For many years, the photographer who snapped this almost surreal scene remained anonymous, however most leads point out to Ebbets. It is a well executed Photoshop manipulation that appeared on the internet soon after the 9/11 attacks. It was supposed to be an image from a camera found in the debris. 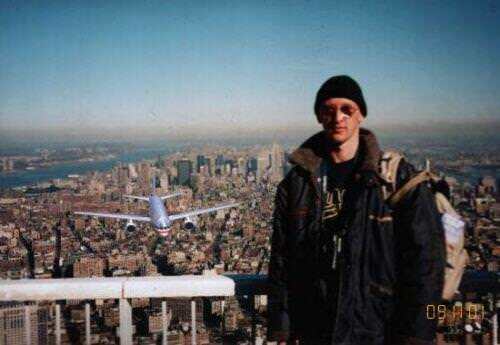 It shows a man posing on the observation deck of one of the twin towers moments before a plane crashes into it. It was soon revealed to be a hoax after a series of inconsistencies was made public. However, having the emotional background to emerge in, it quickly became viral and thus remained one of the most famous images from the start of the 21st century. Erwitt’s picture taken in North Carolina has always spoken for itself. It is the raw depiction of one of the most painful American social issues of the last century. 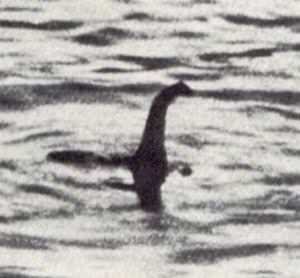 This photo of the alleged Loch Ness monster fueled the legend for many decades and became responsible for many tourists and scientists who visited the Loch in the years after it gained fame. It all ended in 1994 when Wetherell admitted it was a fake, wooden sculpture made by his father and photographed by him. They spread the word and built the fame by convincing the local doctor to tell the world that he was the one who saw and photographed the creature. 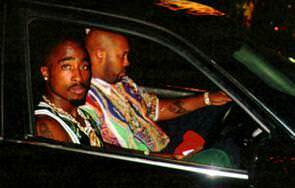 Not the kind of photo that would normally be a part of history, this is the last picture of the famous rapper together with Suge Knight. It was taken moments before the assassination. This is the modern Mona Lisa and quite possibly the most famous photo of them all. It is not just the face of Sharbat Gula, the young woman in a refugee camp, but also the face of an entire nation ravaged by war. 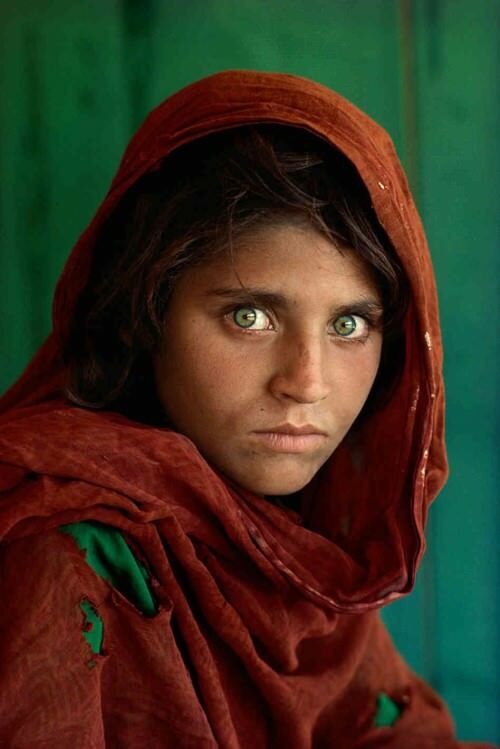 Her eyes shook the entire world when the portrait appeared on the cover of Nation Geographic. McCurry, in his photographic brilliance recognized the rarity of the moment and seized it in a way that could not have been greater. 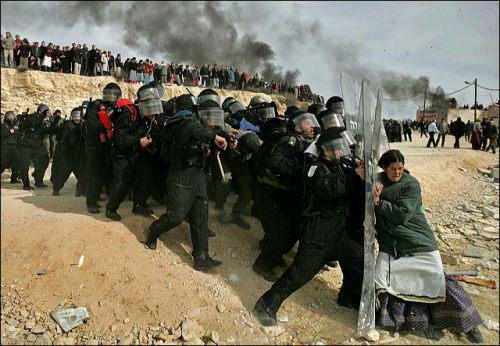 It is an extremely powerful image that won the Pulitzer Breaking News Photography award in 2007.It shows a Jewish woman defying Israeli security forces on by herself and trying to prevent them from removing illegal settlers in the West Bank. 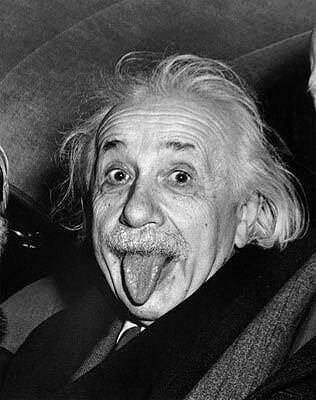 It is one of the most iconic portraits of the twentieth century. It was taken on his 72nd birthday, and the genius, apparently tired of smiling to cameras, gave a very childish and humorous pose. One of the most crucial moments in history captured on film, it represents the change of world power and the victory over nazi Germany. 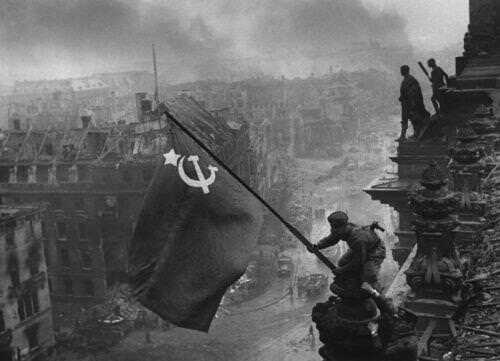 The flag of the Soviet Union is being raised by soldiers Raqymzhan Qoshqarbaev and Georgij Bulatov on the roof of the Reichstag in Berlin, in May,1945,marking the end of WWII. The symbolism in this image is hard to describe with words. 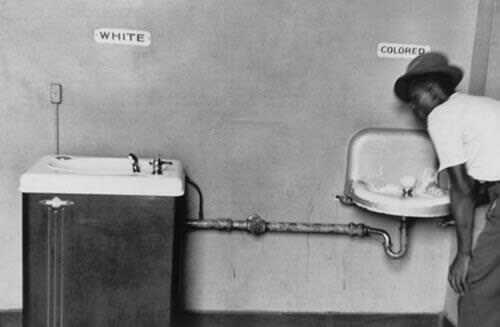 There aren’t many people in modern society who don’t know this photograph. The message it sends is powerful enough to be recognized by anyone, regardless of whether they know what it shows or not. 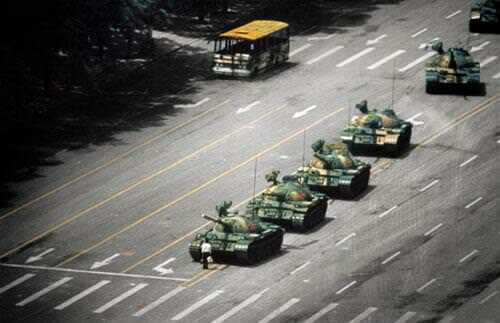 It is the all powerful protest of a young Chinese man who stands in the way of the tanks that are about to roll into the square. His bravery inspired generations of people to protest against oppressive political regimes. Franklin was seen when he snapped the photo by Chinese authorities and had just enough time to switch the roll of film and hide the original one in the toilet tank before they came confiscated the film inside the camera. The title of this piece is a reference to Dali’s “Leda Atomica”. It is the result of a brilliant collaboration between two amazing talents. 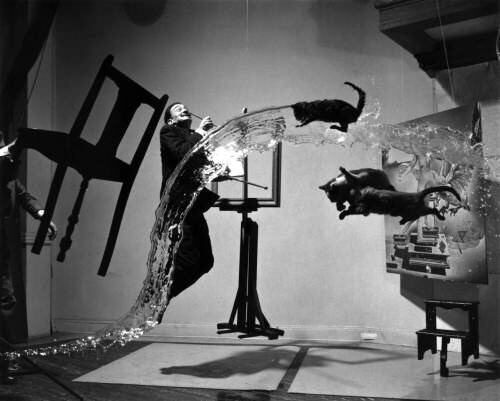 The idea was one of suspension of various elements and Halsman said it took no less than 28 attempts to get the final result.